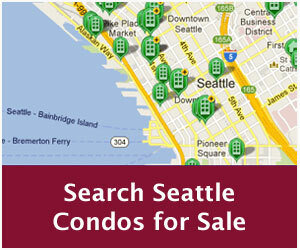 Overall, 2011 was a good year for the Seattle condominium market. Although sale prices fluctuated, unit sales activity was brisk even without a tax credit inducement or an auction to boost sales this past year. On the new construction front, 2011 brought good tidings to developers, marketers and banks. Several developments sold out including the Gallery in Belltown, Enso in South Lake Union, Trace North and Trace Lofts on Capitol Hill. Other buildings are close to selling out, surpassing the 75% sold mark – 1521 Second, Hjarta, Marselle, 1111 E Pike and the Daneille – with Olive 8 not far behind. Escala reached the 50% milestone gaining Fannie Mae approval status, while on the Eastside, Bellevue Towers closed 144 units last year. On the resale side, fewer owners took to selling last year, many perhaps, taking advantage of the hot rental market or waiting it out for a recovery before attempting to sell. The available listed inventory supply dropped approximately 30% from 2010 levels, which resulted in quite a few multiple offer situations…something we haven’t seen in a while. Buyers, who may have been encouraged by the job outlook in the Seattle area (e.g. tech and manufacturing sectors), historic low mortgage interest rates and declining prices, kept Seattle’s condo market rolling along. Condo unit sales remained relatively even with 2010 with just 43 fewer units, 1,783 to 1,740, or a decrease of 2.4%. The largest dip was in South Seattle with -14.0%. 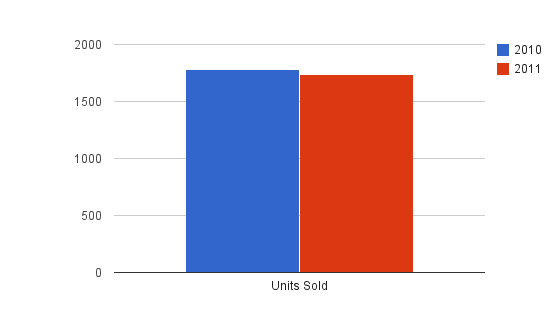 West Seattle unit sales decreased 11.4%, Capitol Hill was down 9.3% and Northeast Seattle had 5.4% fewer sales. One the other hand, several areas saw increased unit sales over 2010 – Queen Anne & Magnolia (+7.8%), downtown/Belltown (+4.1%) and Northwest Seattle (+0.7%) – neighborhoods with a high density of condominiums. Buyers bought bigger and cheaper in 2011. The citywide median condo sales price declined 11.5% to $252,000. Bucking that trend were downtown/Belltown and West Seattle, which saw median sale prices increase 4.7% and 0.8%, respectively for the year. 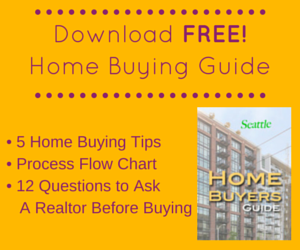 The total aggregate dollar value of condos sold in Seattle dropped 8.2% to $596,022,458. The average condo unit that sold in 2010 was a one-bedroom at 946 square feet. In 2011, the average unit sold was a 991 square foot two-bedroom. Buyers got more for less. For sellers, besides seeing sale prices fall, it also took much longer to sell a condo in Seattle last year. 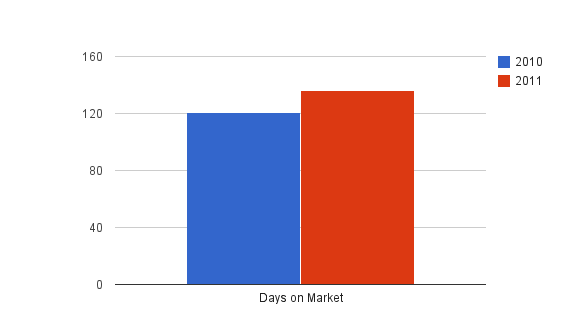 The average cumulative days on market rose 12.4% to 136 days. Pricing, property condition, location and whether or not it was a distressed property greatly influenced the time it took to sell a property. Distressed properties currently account for 29.0% of the available condos for sale. Of that, short sales (pre-foreclosure) make up 9.9% and bank-owned (foreclosed) make up 19.1% of Seattle’s condominium inventory. The sold condo figures last year reflected a similar overall split between distressed and equity properties but with bank-owned and short sales switching places. 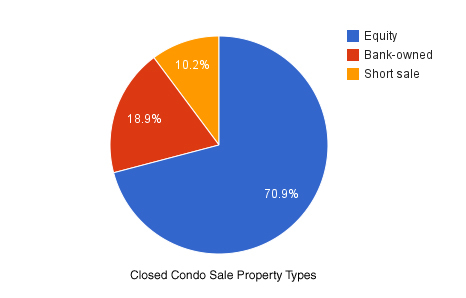 Equity sales accounted for 70.9% of the condos sold in 2011, while 18.9% were bank-owned and 10.2% were successful short sales. The numbers bear out the fact that short sales, which make up 1 in 5 properties on the market only account for 1 in 10 closed sales, do not have the same appeal as equity or bank-owned properties and have a high purchase failure rate. Moving ahead through 2012…personally, I think we’ll see more of the same this year. I expect sales to remain brisk with continued pressure on values and further reduction of inventory. Even though supply will shrink I’m not betting that prices will stabilize or recover citywide, not with the significant number of distressed owners and the shadow inventory. However, it is not inconceivable that prices could improve in certain neighborhoods or price tiers. Source: NWMLS database. 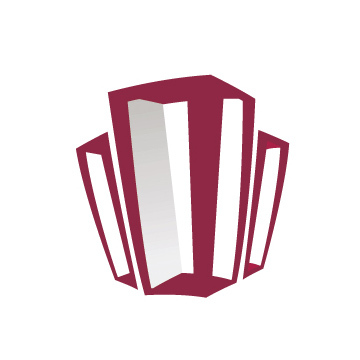 Some figures were compiled independently and were not published by the Northwest Multiple Listing Service. Clearly, the Seattle housing market, condos in particular, is not suffering as the market still offers employment opportunities to many. Both large and small businesses are domiciled there and young people are flocking there, from the East, to buy condos, with great views and plenty of space. 2011 was actually a banner year if there were no incentives or tax credits like in the past. Well done! Here’s to an even better 2012!